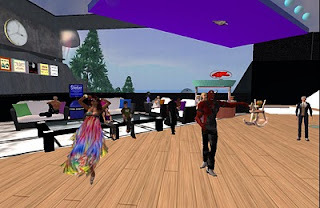 Xymbers Slade recently dropped by "The Shelter," a place in Second Life with the purpose of helping out newcomers. He met up with one of the staff, ChatBrat Pippita, and asked her a few questions about the location. Xymbers Slade: How long has the Shelter been up? ChatBrat Pippita: Six and a half years. The Shelter was started by Travis Lambert and Lars Bismark on the Fudo sim on August 20, 2004. Xymbers Slade: How has it changed from when it first started to now? ChatBrat Pippita: The Shelter opened on a 1024 sq.m. parcel in 2004 and is currently on a 32624 sq.m. lot. At first, we didn't focus primarily on new residents. We started out as a place where all residents, old and new, could hang out and just have some good clean fun. People started bringing newbies to the Shelter because it was the one place you could socialize in a convivial non-threatening atmosphere. We had several events every day, one of which was a newbie welcome party. Less than a year later, these daily parties evolved into welcoming newbies 24/7. This has been our mission ever since: To provide new residents with a positive social environment in our overwhelming world. Our culture has become one of friendship and helpfulness: Old residents show new residents the ropes, and as the newbies gain experience, they in turn welcome newer residents into our community. Xymbers Slade: How many newbies do you normally get on a daily basis? ChatBrat Pippita: Roughly 250 newbies teleport in each day. The Shelter is very welcoming. Most new residents tend to stick around or at least return often. And almost all of our Volunteers started as newbies and then stayed to give back to the community. For example, I found the Shelter as a newbie, learned basic skills here, became a Volunteer and never left. For the past two years, I have been hosting a themed formal dance at the Shelter every Sunday evening. Like many Volunteers, I have developed other commitments and interests in SL, but I never miss my Sunday evenings in the place that will always be my SL home. Xymbers Slade: How often does the Shelter get griefers? ChatBrat Pippita: Not very often and they never stay long. Thanks in large part to the Shelter staff. Xymbers Slade: How can SL change the newbie experience for the better? ChatBrat Pippita: I don’t think there is a perfect one-size-fits-all newbie experience. We all like to learn, explore, and experience new things in our individual ways. Having a wide variety of newbie-friendly places with readily available learning tools that newcomers can use at their convenience is, I think, a good way to do things. 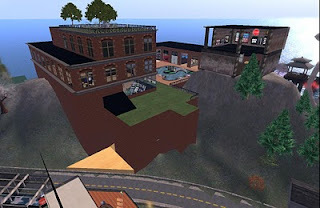 Xymbers Slade: Is this place one of the first stops of a newbie's journey through SL, still? Or do they need to find it in Search like everything else? ChatBrat Pippita: The Shelter is in the Destination Guide and our landmark is one of those that new residents are offered when they first rez. Xymbers Slade: Finally, what is your advice for new people just starting out? ChatBrat Pippita: Explore, explore, explore! 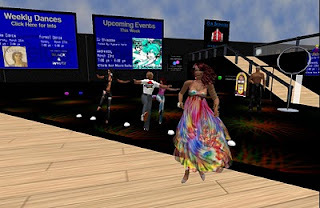 Second Life is full of exciting, fun and magical things to see and do, and is home to amazing, intriguing and creative people. Look around before you put down roots in one spot, strike up conversations with strangers and enjoy the brilliant people you meet. 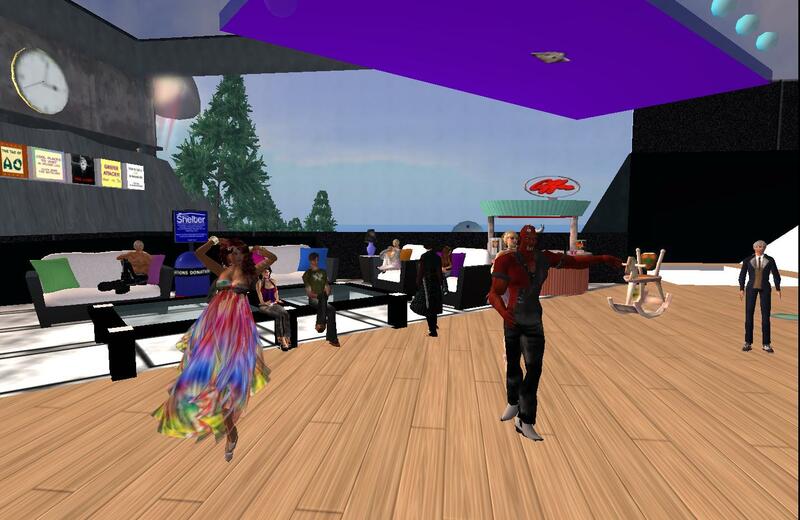 Second Life gives you an opportunity to create your own world and be part of other people’s creations. Enjoy it, learn from it, give to it. The Shelter is located in the Isabel sim at (26, 249, 86). On the map, it's location is quite literally spelled out with a skysign.